Home / News / UNHCR supports 130,000 Iraqis with monetary & legal assistance, thanks to funds from the UK Department for International Development. UNHCR supports 130,000 Iraqis with monetary & legal assistance, thanks to funds from the UK Department for International Development. 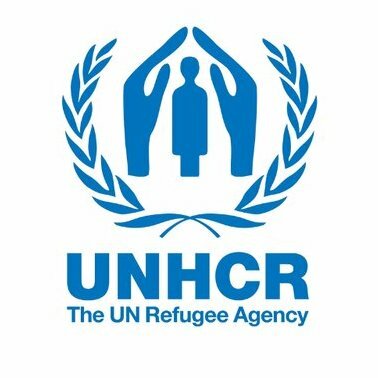 The UN Refugee Agency has recently completed a year-long drive assisting vulnerable and displaced Iraqis with the aid of a £9 million donation from the UK Department for International Development (DFID). With these funds, UNHCR was able to reach approximately 90,000 people with cash assistance, and support 40,000 people to obtain the legal documents that are essential for them to access social welfare services provided by the Iraqi government. Mr. Jim Carpy, Head of DFID Iraq said “The UK continues to stand by vulnerable Iraqis affected by the devastating conflict with Da’esh. Through UNHCR’s programme, UK aid is providing families displaced by conflict with cash assistance, allowing them to buy food and other essential items, re-build their lives, and ultimately return home when it is safe to do so. Our support to displaced people – including many female-headed households – offers them dignity while empowering them to prioritise their own needs in a flexible and cost-effective way”. UNHCR’s important work and the continued assistance of DFID in Iraq is crucial to civilians without a safety net and who receive minimal government assistance. As the state rebuilds its institutions after years of conflict, cash assistance and access to legal documentation can provide the initial framework to rebuild for those who have lost homes, savings and family members. Mr. Bruno Geddo, UNHCR’s Representative in Iraq explained: “Cash assistance and access to new and replacement documents are crucial for Iraqis making the jump from crisis to recovery. The first step can be the hardest to take, and we must continue to stand by the people of Iraq as they start the long journey to peace and stability. UNHCR is grateful to DFID for its long standing support on cash assistance. At a time when global interest in Iraq is diminishing, I urge key donors to maintain the support they have so generously provided throughout this critical time. There is no quick fix for Iraq, and underfunding could severely impact many vulnerable people still unable to return home in a safe and sustainable way”.